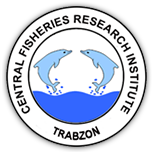 2 Karadeniz Technical University, Faculty of Marine Sciences, Department of Fisheries Technology. 61080 Trabzon, Turkey Viewed : 1914 - Downloaded : 2093 This study was carried out in the Southern Black Sea coasts during the autumn-winter migration of bonito (Sarda sarda) within the fishing periods of 2000-2001 and 2001-2002. Findings related to fishing gear and techniques were obtained from the commercial fishing vessels that mainly used purse seine and gill net as a means of catching bonito. The data concerning the bonito populations were obtained from the landed catch. It was found that the age composition of bonito consisted of zero and one year of age and that they had not reached their sexual maturity yet. The average length distribution of the population was found to be within the range of 15.1–47.5 cm. The catch per unit effort (CPUE) values for the landed catch were found to be 619.8 kg/vessel/operation for the purse-seiners, and 83.1 kg/vessel/operation for the gill-netters.